The three-fold nature of our knowledge likewise demonstrates that we, to a greater extent than the angels, are created in God's image. Indeed, this knowledge is not only three-fold but encompasses every form of knowledge. The construction of any theology is a secularization, which is necessary but risks distorting the distinctive experience that birthed it. Gregory Palamas holds that Christian morality must be based in asceticism. The mediation of Christ, conceived as a series of reconciliations, requires participation in the divine energies through a life of repentance. My project is to suggest that Gregory offers a corrective to much of the Christian social justice industry. In part one of what follows, I will share some philosophical and historical reflections on Christian social theory in the context of secularization. 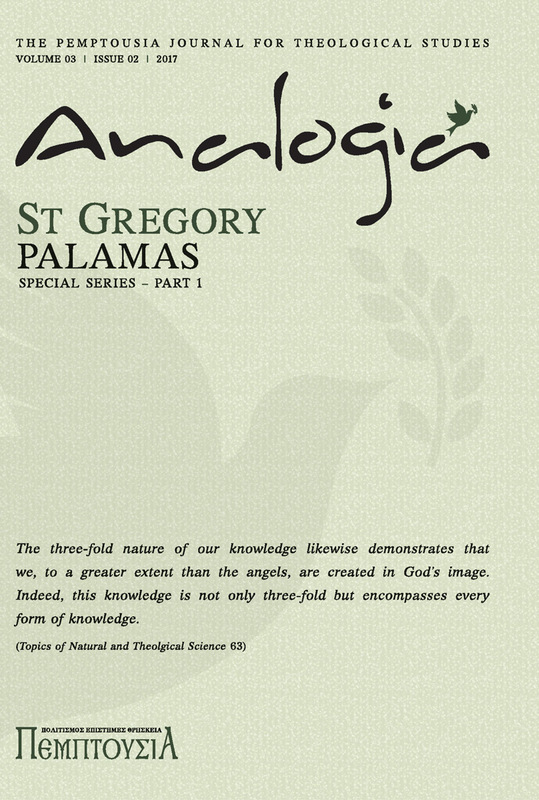 In part two, I will offer specific observations on Gregory Palamas’ thought. I will contend that Christian social theory must be moral. That it must argue from the ‘is’, which is the revelation of God in Christ, to what ought to be. That Gregory holds that the moral is inseparable from the ascetical. Efforts to create mediating moral languages need always to be measured against individual witness. The implications of this are that the Church must practice virtue, not just talk about it, and that Christian witness without a commitment to asceticism runs the risk of losing its distinctiveness. In the end, the Christian life is not just about what we ask of others but about what we ask of ourselves. Rudolf Otto, Das Helige (Breslau: Tewendt & Granier, 1917). Saint Gregory Palamas was well known as an apologist for hesychasm. The article, however, reveals the Saint as an expositor of the spiritual life and a great Father of the Church. In The Homilies, Saint Gregory masterfully uses biblical images to present a theology of fasting. Asceticism is given a strong eschatological and therapeutic orientation. Personal prayer and corporate prayer are held in balance. Fasting is connected with service to the poor. Saint Gregory posits that theoria, or the vision of God, was the experience of the Old Testaments Saints, and insists that it is a possible—if not also normative—experience for all Christians. The Father links asceticism and apatheia to the Cross, giving the spiritual life a strong Christological context and goal. He unites dogma and spirituality in both his person and teaching, giving us a paradigm for both theology and the spiritual life. Saint Gregory Palamas—monk, theologian, apologist, and bishop—was and remains very much today a key figure in the history of Orthodox spiritual and dogmatic theology. His name and writings have become synonymous with Orthodox identity and self-understanding. 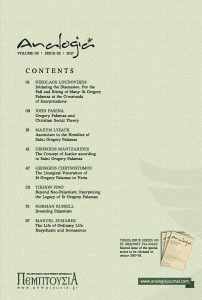 Indeed, one could argue successfully that the era of the marginalisation of Palamas in Orthodox theology—a period which coincides with what Father Florovsky terms the ‘Babylonian captivity’ of Orthodox theology—reveals a lack of vitality and clarity, a time when Orthodox theology was mimicking a style and form foreign to its very ethos. Conversely, the rediscovery of Palamas, along with that of many other Fathers of great significance to the Orthodox theological tradition, represents a renewal of Orthodox theology itself, a reassertion of a particular spiritual identity, a realignment of its discourse with its very soul. This rediscovery could not but have had profound implications for Orthodox spiritual theology, since it permitted a tradition that is intrinsically empirical to finally express itself in a way consistent with its experience and life. This paper seeks to elucidate the way in which the principle of justice/righteousness functions in the thought of St Gregory Palamas. As the paper notes, the concept of ‘justice’ or ‘righteousness’—the biblical equivalent of justice—was a central concern to both the ethical systems of the Ancient Greeks and the Judeo-Christian tradition. Following in the wake of these ancient currents, St Gregory regards righteousness/justice as being inextricably connected to divine economy and the human endeavour to respond to the grace it imparts. As such, the ‘justice’ of Palamas is rather different from retributive and punitive forms of justice and the modern associations therewith. Though justice/righteousness is ultimately a response to the divine call to deification, it is not, in St Gregory’s view, indifferent to the realities of social justice. Translated from Greek by James W. Lillie. See Theognis, The Elegiac Poems of Theognis 1.147–8 (LCL 258). This paper provides a brief overview of the historic relationship between the ancient city of Veria and the saintly family of St Gregory Palamas. In addition to covering some historical milestones in the Palamas family’s sojourn in Veria, the paper also discusses some of the specific churches and monasteries with which St Gregory and his family had personal connections, sites that contain objects of veneration and have remained prominent destinations for pilgrimages up to our current era. Finally, a brief description is given of modern sites and celebrations that honour the Palamas family, including the canonisation of St Gregory’s parents and siblings in 2009. Introduction to the International Scientific Conference, entitled: ‘Ἡ θεολογική καί φιλοσοφική σημασία τοῦ ἔργου τοῦ Ἁγίου Γρηγορίου Παλαμᾶ ἀρχιεπισκόπου Θεσσαλονίκης’ (Θεσσαλονίκη–Βέροια, 7–15 Μαρτίου, 2012). First published in Βελλᾶ Ἐπιστημονική Ἐπετηρίδα 7 (2013–2015): 121–36. On the Family of Saints, cf. Ἀρχιμ. Γεωργίου Χρυσοστόμου, ‘Καθημερινή ζωή καί Παύλεια πνευματικότητα στίς ἀκολουθίες τῶν Ἁγίων Οἰκογενειῶν’, in Πρακτικά Διεθνοῦς Ἐπιστημονικοῦ Συνεδρίου, ‘Ἡ οἰκογένεια: Παύλεια θεολογία καί σύγχρονη θεώρηση’ (ΙΕ΄Παύλεια) (Βέροια, 2009), 321–56. The saint’s first biographer was the student of Philotheos Kokkinos, Patriarch of Constantinople. Cf. Βίος Γρηγορίου Παλαμᾶ (Θεσσαλονίκη: 1984). See also Μοναχῆς Ὀλυμπιάδος Ντίτορα, Τό θαῦμα τῆς χάριτος. Ἀφηγηματική βιογραφία τοῦ Ἁγίου Γρηγορίου Παλαμᾶ τοῦ θαυματουργοῦ (Βέροια: Ἱ. Μ. Ἁγίου Ἀθανασίου Ἀγκαθιᾶς, 2009). This paper seeks to clear the way for new historical-theological research into the corpus of St Gregory Palamas and his followers in late Byzantium. While recognizing the immense impact and the extraordinary contribution of pioneering scholars such as Fr John Meyendorff, this paper examines the methodological and hermeneutic questions that dominated Neo-Palamite scholarship in the twentieth century. Attempting to move beyond dated paradigms and narrow interpretive categories, the paper seeks to make room for the wealth of new sources that have been made available in the decades since Meyendorff’s groundbreaking work. Calling attention to the wider school of Palamite theologians writing between 1339 and 1445, this paper specifically analyses the question of theological development and the problem of change in Byzantine theology. It also examines the question of Nicholas Kavasilas and his relationship to the Palamite cause in an effort to illustrate the complexities surrounding the broader Palamite movement. Precisely because Neo-Palamite scholars have been so influential in propagating the field of Palamite studies, their contributions must be extended and built upon with renewed, objective research into the complex world of Palamite theology. Palamite theology is not easily reduced to simple categories. 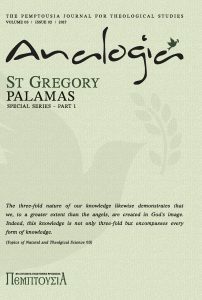 Boasting an extensive corpus, and a network of authors writing over the course of an entire century, the theology of St Gregory Palamas and his followers has presented a challenge to researchers and scholars, who have only recently begun to apply the tools of critical inquiry to the field. The twentieth century thus saw the rise of heuristic categories and hermeneutical models for understanding and describing the Palamite controversy. In addition to finding parallels with medieval Western theology, scholars applied to the theology of St Gregory Palamas the problematics of modern theological discourse. Yet the desire to extrapolate larger interpretative structures from the original theological disagreements has resulted in a distorted and often anachronistic portrait of the debates. I am grateful to Fr Maximos Constas for his encouragement and advice throughout the writing of this paper, and to Dr Marcus Plested, Christiaan Kappes, John-Mark Miravalle, and John Taylor Carr for their valuable feedback. All translations are my own unless otherwise noted. Palamism is a modern term coined in the early twentieth century by the Assumptionist Martin Jugie. Jugie’s aim was to demonstrate that the Orthodox Church was guilty of ‘innovation’ by its endorsement of Palamas’ essence–energies distinction in the Godhead and could therefore not accuse the Roman Catholic Church of being alone in introducing new doctrines. John Meyendorff set out to answer Jugie by proving Palamas’ continuity with the patristic tradition, but against Jugie’s neo-scholastic construction of Palamism set up an existentialist and personalist construction of his own. Modern Western scholars have tended to follow Jugie rather than Meyendorff. Since the 1960s, however, the publication of Palamas’ entire corpus of writings has led to a series of studies that have deepened our comprehension of Palamas’ thinking. ‘Palamism’ today is moving beyond its original ideological construction, and although still controversial has the potential to enrich the understanding of both Orthodox and Western theologians as to how human beings are able to participate in God. Why is Gregory Palamas such a figure of contention? More than six hundred fifty years after his death he is often attacked or defended with a fervour which no other ancient or mediaeval theologian (with the possible exception of St Augustine) can evoke. The passion aroused even today in both his defenders and his adversaries suggests that we need to look for the reasons not so much in the voluminous texts of Palamas himself as in the structures of our own thought worlds. Following upon the effects of modernity, the regulation of ordinary life relative to the practicalities of human existence became a sphere of its own with no need of ontological justification. 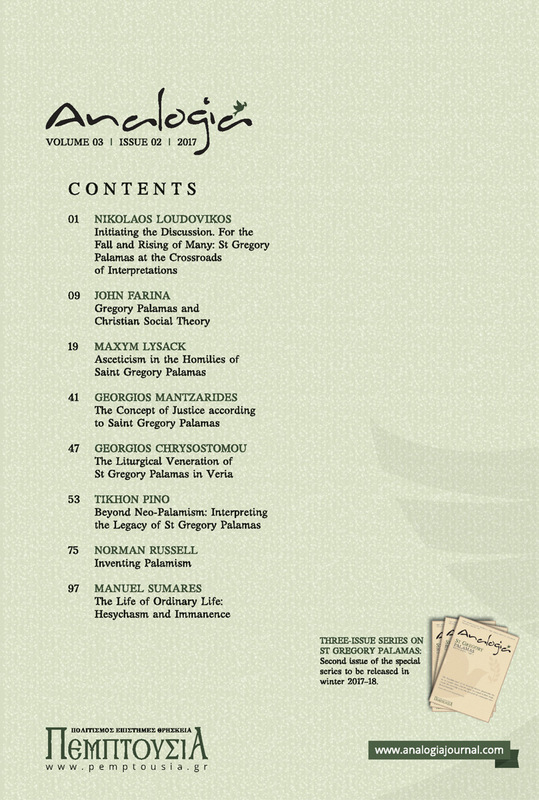 Charles Taylor’s monumental works on modern identity and secularisation represent a valuable resource in appreciating a situation that may be Western in inspiration but is, in fact, ultimately global and, thereby, affects the potential of Orthodox thought, and, more particularly that of Saint Gregory Palamas, to make a difference. However, the apparent inability for Western thought to provide an ontology for ordinary life offers an opening for reactivating the potential of Hesychast spirituality to speak of ordinary life in ontological terms. After considering Taylor’s contributions, we turn to Saint Gregory’s critique of ‘Hellenic error’ in order to suggest an ontological revalidation of ordinary life through the enhancement of immanence and to point to its permanence in the Orthodox Church. George Mantzarides, The Deification of Man: St Gregory Palamas and the Orthodox Tradition (Crestwood, NY: St Vladimir’s Seminary Press, 1987), 129.